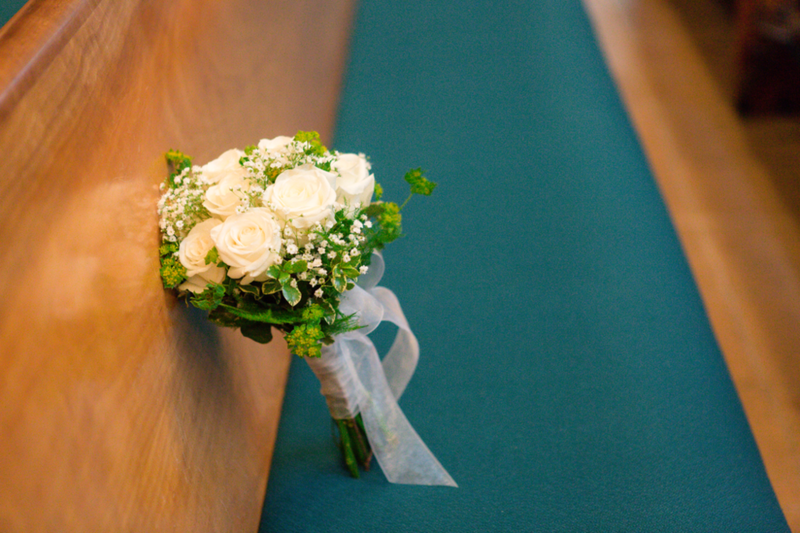 Honoring a Deceased Loved One on your Wedding Day can help bring them closer. A wedding day is filled with love, joy and laughter among family and friends. People who have come from near and far to take part of one of your happiest days. But sometimes there are loved ones who may have passed away prior to the wedding day. Still couples want to honor their deceased loved ones at the wedding day to bring them closer. Below I have listed a few different ways to Honor a Deceased Loved One on your Wedding Day. Because we know that if heaven wasn't so far away, they would be right there by our side partaking in the festivities. Attaching a picture charm to your flowers is a great way to bring someone closer. Now you can bring them with you as you walk down the aisle towards your future spouse. 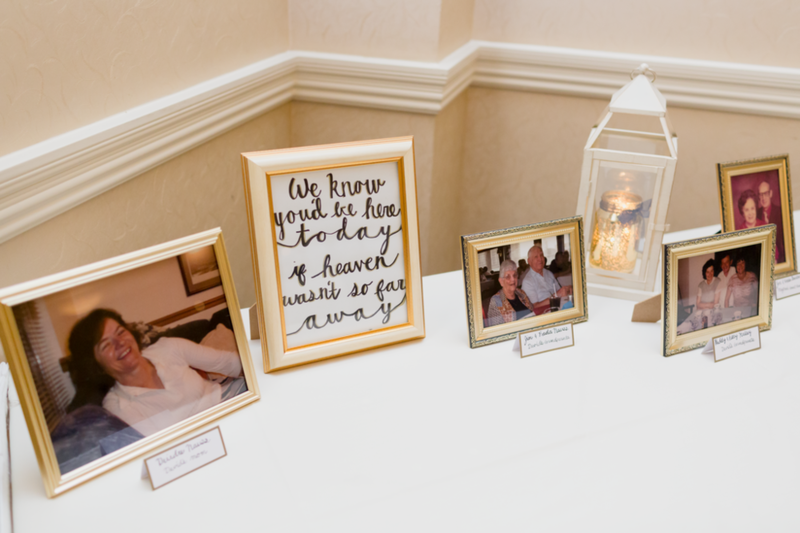 Setup a memory special table at the reception with pictures, names and quotes to remember those who weren't able to attend your wedding day. Light a candle in their honor and have it burn throughout the night. Having a seat up front and center at the ceremony that's reserved is a great way to honor a loved one that has passed away. Adding an image or name tag of them is another way to bring them closer. Have them be part of your wedding program. You could have their names written down at the end of the program. In addition, add a note saying "We remember those we've lost". Or why not find their favorite poem or quote and have it be part of a reading during your ceremony. To read more tips on how to Honor a Deceased Loved One on your Wedding Day check out this article from The Knot.